If you see a property that interests you or have any queries regarding our service or properties advertised please contact the relevant sales advisor. Search for property in the Whitstable area. Caroline has unrivalled local knowledge and expertise of the Tankerton, Chestfield and Whitstable area. Working from our Flagship Office at Tankerton, Caroline heads up the Tankerton and Whitstable teams, she has over 30 years’ experience in the area. Caroline can claim to have sold more properties in the area than any other individual and she still enjoys all aspects of the work from start to finish and has a reputation of going that ‘extra mile’ for her clients. 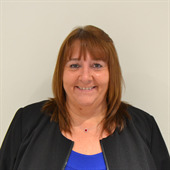 Caroline has also been successful in achieving the NFOPP Level 3 technical award in residential property sales, as well as the qualification of Associate of The Guild of Professional Estate Agents. Kent Estate Agencies Tankerton and Whitstable offices enjoy " Protected" status as a member of the National Association of Estate Agents that is able to meet the high standards required, providing buyers and sellers with access to professionally qualified advice, combined with estate agency experience. During the last 10 years the Tankerton and Whitstable Offices together have sold more properties in the Tankerton, Swalecliffe, Whitstable and Chestfield area than any other agent. Caroline is determined that Kent Estate Agencies remains the No.1 office for Customer Satisfaction in Tankerton.See Independent Customer Reviews on www.kea.org.uk for further details. Caroline joined the company in 1987, became a Director in 1997 and was appointed to her present position in 2005. Caroline is married with one son and enjoys leisure time using the family caravan. 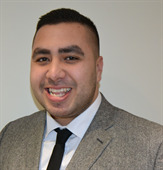 Matthew is a NAEA Licensed Estate Agent and has been part of the Kent Estate Agencies team since 2011, he continues to demonstrate his determination to deliver a high level of Customer Service. 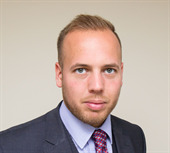 In 2014 Matthew qualified as a Member of the National Association of Estate Agents having passed all four examinations in Level 3 of the Technical Award in Residential Sales and as a NAEA Licensed Estate Agent is a member of our team qualified to provide advice to our Clients. 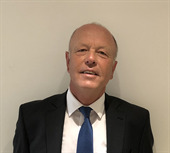 Having over 40 years’ estate agency experience within the local area, Robert has gained an extensive knowledge of the property market, and prides himself on achieving a professional, yet truly personal service. Robert’s commitment to providing a first class customer experience, and his wealth of local knowledge, makes him the ideal person to speak to when selling or buying a property. In Robert’s spare time he enjoys playing golf, travelling and spending time with his family. Andrea successfully performs the important task of Residential Sales Administrator, working to ensure the busy Whitstable Office operates smoothly. Her success is evidenced by the increasing number of sales achieved by the office. Cy, who is qualified as an Associate Member of The Guild of Property Professionals, has a passion for helping buyers find their new home and making sure clients receive a truly professional and positive service. In his spare time Cy enjoys playing and watching football, music and home improvements. We take your privacy very seriously and we only want to provide you with information that you want to receive. Please use the boxes below and confirm the type of information that would be of interest to you. Remember you can change your preferences at any time by simply logging into your account and changing them here.